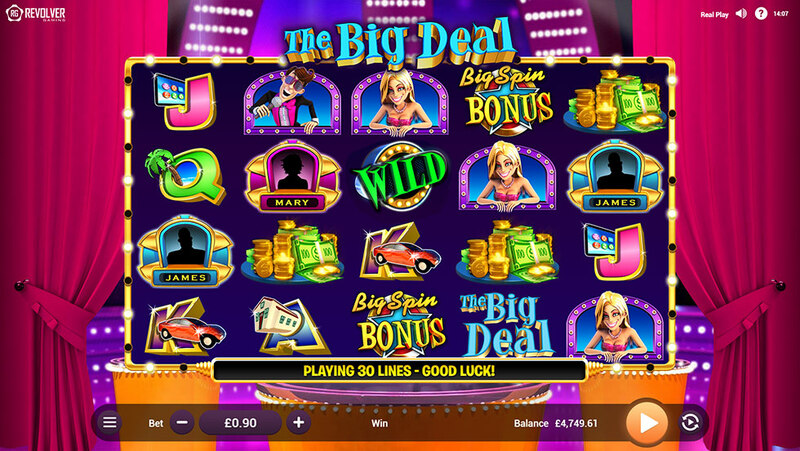 The Big Deal™ | Revolver Gaming - 3D Slots & Social Casino game creators! Finally! 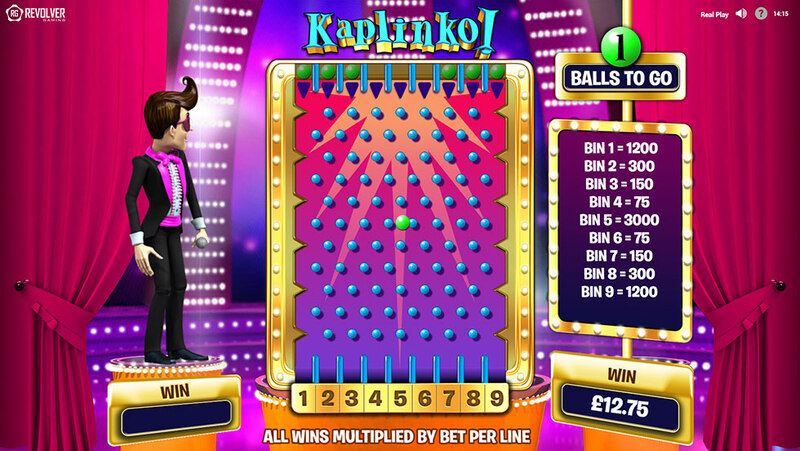 A game show worthy of the best slot players! 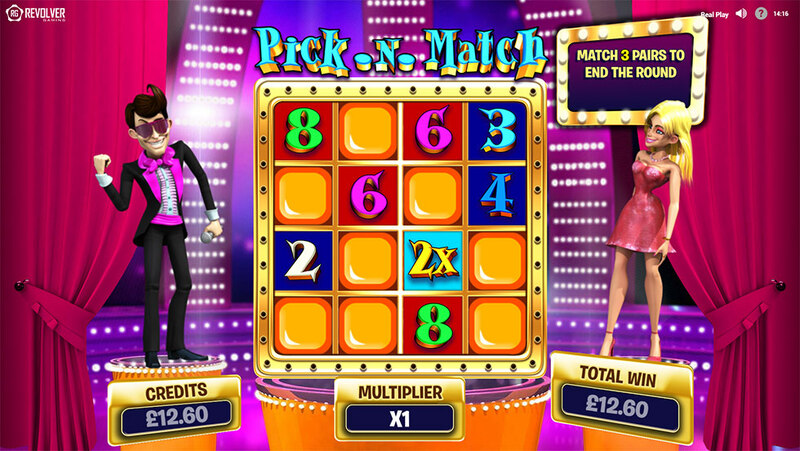 ‘The Big Deal™’ is a cinema quality 3D slot that has it all: a charming host, pretty co-host, contestants, challenges and prizes, prizes, PRIZES!! Featuring an entertaining base game with clumping Wilds is just the start! 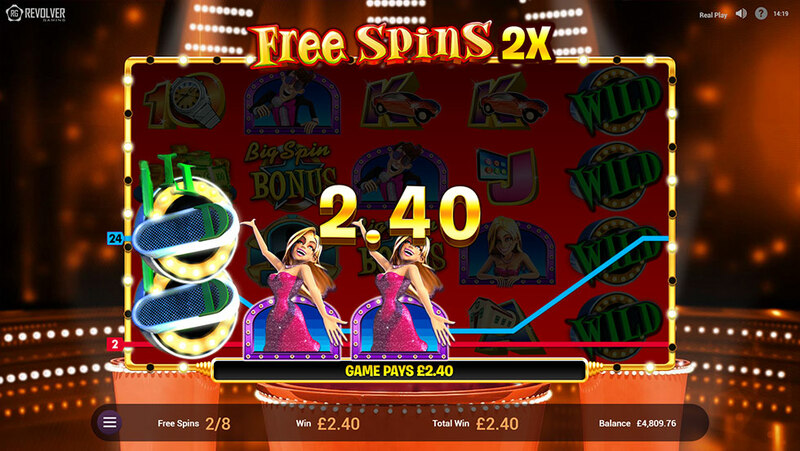 Hit 3 or more ‘Big Spin Bonus’ symbols and trigger an interstitial wheel for a chance to win one of 3 second screen Bonus events or Free Spin games. 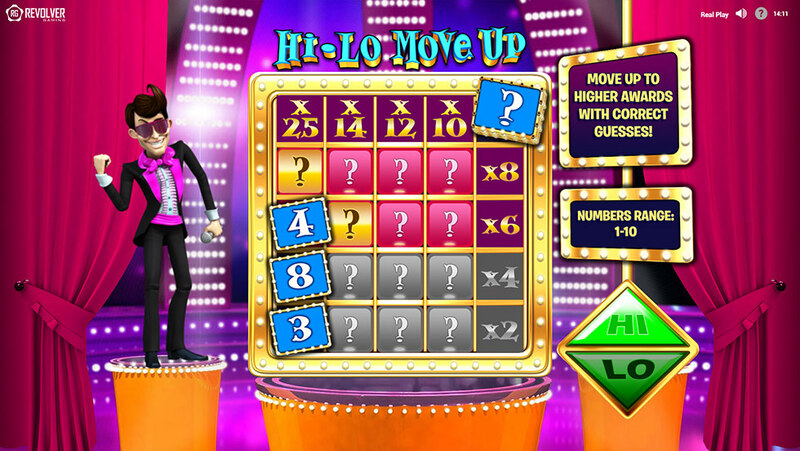 Crafted to the highest specifications, optimized for true cross-platform compatibility and non-stop winning action, ‘The Big Deal™’ provides players with hours of uninterrupted FUN!